It's finally here. 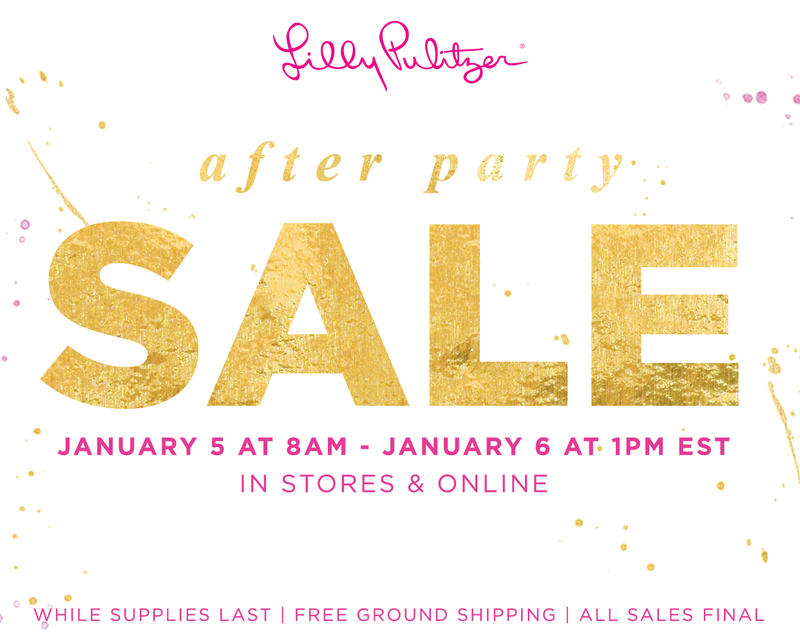 Tomorrow is the day for the Lilly Pulitzer After Party Sale! The fun starts in the morning, but tonight I'm sharing some quick tips that have helped me in previous sales! Veterans of the sale know that there are certain items that go quickly...scarves, popovers, and elsas to name a few. It's always helpful to do some research prior to the sale and quickly add the items that you want the most first. Also find out what sizes to get because the sizing can be inconsistent between items and even prints! During the last sale, I had my list ready and didn't find some pieces that I really wanted only to find them added to the site on the second day! Not sure if this will apply in tomorrow's sale, but keep that in mind when shopping! I've also gotten some items during a restock on the second day, so it's definitely worth checking on Friday. This is one of the most helpful tips. Have your credit card info updated online so checking out is quick and easy! The sale starts at 8am EST, so set your alarms and get online prior to that. If you're one of the lucky ones, you'll get in immediately. If not, you'll be added to the queue...do not refresh the screen or you'll go to the end of the list. Signature Stores sometimes have better pricing and varied inventory (and better customer service.) Plus, who doesn't like supporting small businesses. I've already started my shopping at the wonderful Pink Bee! Be sure to check out some previous APS posts here and here for more deets and follow along on Instagram where I'll be posting my sale finds! Happy Shopping ladies!